At 37, he is the youngest entrant in a crowded field of Democratic candidates that features Vermont Senator Bernie Sanders, 77, and 69-year-old Massachusetts Senator Elizabeth Warren. In a veiled attack on the Trump administration, he railed against the “myth being sold” by those who sought to “stop the clock and turn it back”. Opinion polls in Iowa and New Hampshire last week put Mr Buttigieg third in both states, behind Bernie Sanders and former Vice-President Joe Biden. Mr Sanders launched his run last month, while Mr Biden, who has faced allegations of inappropriate touching by several women, is yet to announce his candidacy. 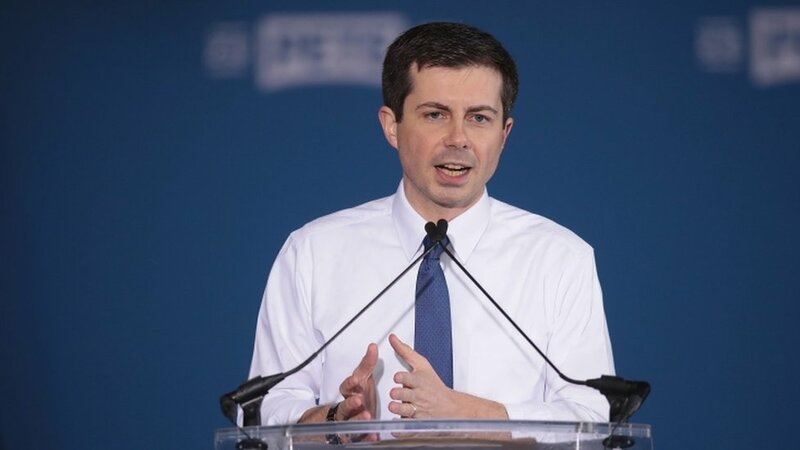 Born in South Bend in 1982, Mr Buttigieg studied at Harvard and Oxford, graduating from the latter in 2007 with first-class honours in philosophy, politics and economics. He went on to work as a consultant at McKinsey & Company between 2007 and 2010 and served for seven months in Afghanistan as a Navy reservist in 2014. At 29, he was elected mayor of South Bend, taking office in January 2012. Despite an unsuccessful run for chairman of the Democratic National Committee in 2017, former President Barack Obama name-checked him as a rising star. The video announcing he will run for president focuses on his role in the Rust Belt city’s redevelopment and also takes aim at corruption and infighting in Washington. He came out as gay in 2015 and married Chasten Glezman, a middle school teacher, last year. What does he stand for? In his rally speech, Mr Buttigieg positioned himself as the voice of millennials. Critics say his campaign has so far emphasised values and his personal story rather than a distinctive policy agenda.